Chris has been the rector of Trinity on the Hill since the summer of 2015, and Dean of the Northeast Deanery of the Diocese of the Rio Grande since early 2018. He is a native Texan, but came here after living in North Carolina for nearly 20 years. He studied philosophy at East Carolina University, theology at Duke University Divinity School, and Anglican Studies at Virginia Theological Seminary. He is proud to be the husband of the wonderful Karen Proctor-Adams and the father of the totally awesome Jude. He is passionate about the Gospel of Jesus Christ, and cares greatly for the worship and liturgy of the Church. He enjoys reading, hiking, playing guitar, and anything related to superheroes! You can reach him at cadams@latoth.org. Cynthia Biddlecomb has served as our Parish Administrator since July of 2010. A “Minister of Word and Service” in the Evangelical Lutheran Church in America (ELCA), Cynthia has over 25 years of experience in Christian Education, Volunteer Coordination, Communications and support of Lay Ministries. 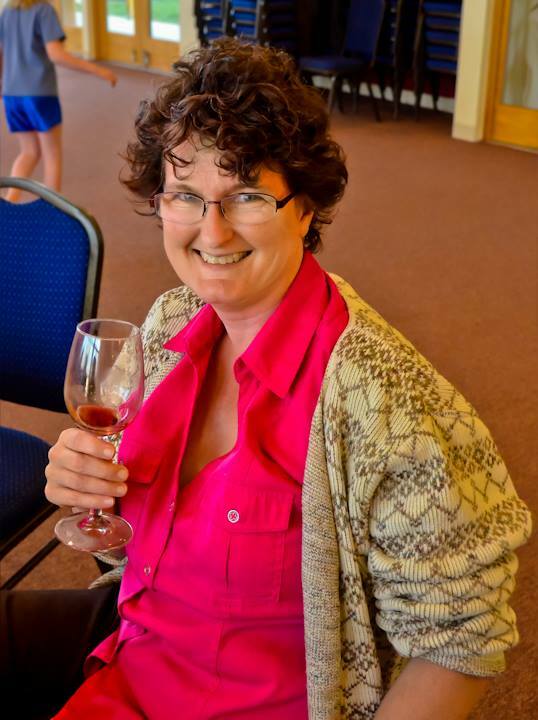 She works at TOTH under a Call to Specialized Ministry from the Rocky Mountain Synod of the ELCA, having previously served in San Francisco CA, Willmar MN, Augsburg Fortress Publishers in Minneapolis, and Bethlehem Lutheran Church across town. You can reach her at cynthiab@latoth.org. Laurie grew up as a unchurched non believer who valued science above all. She got her PhD in Mechanical Engineering at Carnegie Mellon University and has worked full time at Los Alamos National Lab for over 22 years. Along the way, she encountered the Holy Trinity. She still doesn’t believe in the God she didn’t believe in her youth, but finally met the God she had always sought. Trinity on the Hill supported her in becoming a bi-vocational priest and getting her M.Div at Episcopal Divinity School. She was ordained a priest in 2017 and works part time at the church. Her passion is meeting people where they are and journeying with them to discover the Holy Trinity, their passions, and their unique spiritual gifts. This includes supporting Social Justice to see the world through the eyes of others. Currently, she is using those passions to help lead Sunday School for the older youth and a Social Justice discussion group for adults. 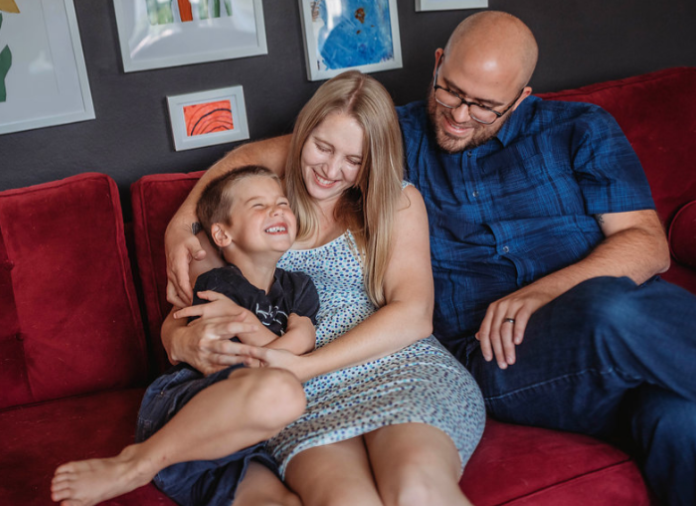 She is supported in her life and ministry by her husband Richard and two kids Genevieve and Jonathan. They refresh her and surprise her with their insights and they are just plain fun to be around. You can reach her at laurie.triplett@gmail.com. Deacon Jeff moved to Santa Fe in 1994 from Ann Arbor, Michigan. He was employed at Los Alamos National Laboratory in Human Resources for several years. Currently his day job is working as a Bureau Chief for the New Mexico Children Youth and Families Juvenile Justice Services Department where he directs the strategic planning on programs to assist delinquent juveniles in New Mexico. Deacon Jeff was ordained as a vocational deacon in the Roman Catholic Church in 2003 and moved to the Episcopal Faith in 2009. He was received as a transitional deacon in the Episcopal Diocese of the Rio Grande June 2017. 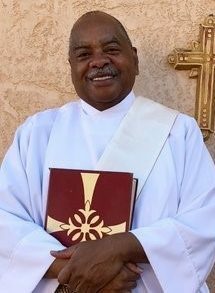 His church ministry and community work surrounds volunteering with the Interfaith Homeless Shelter, HIV awareness group, mentoring in the Sewanee Education for Ministry Program, and volunteering for the Santa Fe Branch of the NAACP. Deacon Jeff has earned a MBA from the University Of New Mexico and a Doctorate in Organizational Psychology and Interdisciplinary Leadership from Creighton University. Deacon Jeff’s dissertation was on “Framing Thoughtful Leadership Intervention in Academic Workplace Bullying: A Collective Case Study”. Jeff is studying in the Iona School and takes online M.Div. courses at Iliff Theological Seminary and Chicago Theological Seminary and hopes to be ordained to the priesthood in June of 2019. Claire Singleton has been worshipping at TOTH since coming to Los Alamos in 2000. In addition to serving as substitute office assistant, she prepares the weekly bulletins and sings in the Chancel Choir. She attends Women Alive in Mind, Body and Spirit on Tuesday mornings and has also served on many house-building mission teams in Juarez, Mexico. She is a licensed Lay Reader and Lay Eucharistic Minister. When not working for TOTH, she is a freelance translator of Dutch and French to English. She enjoys swimming, fitness classes, yoga, musical theatre, acting, Zumba, dancing with the Hill Stompers, and Sacred Harp singing. Valerie Fassbender has been a church organist since the age of 15. 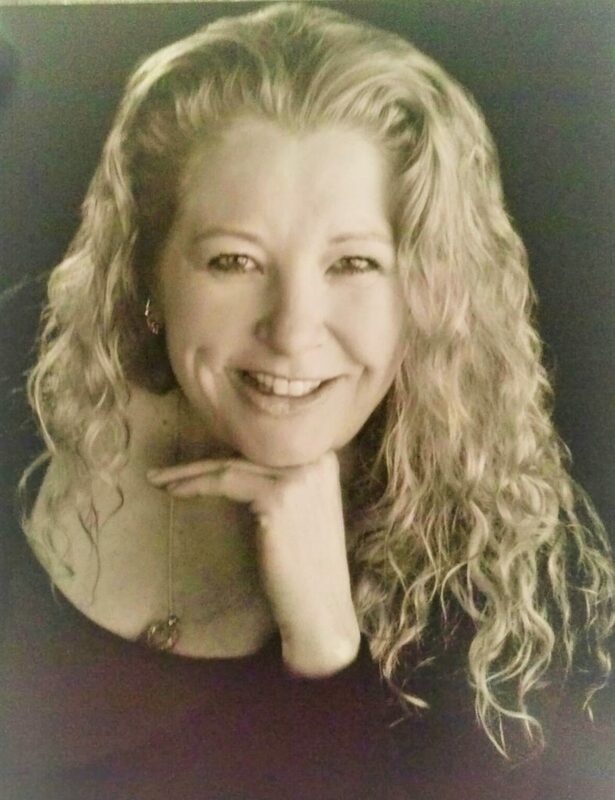 Before moving to Los Alamos in 1990, she served as organist at Holy Trinity Lutheran Church, North Caldwell, NJ and organist/choirmaster at Resurrection Lutheran Church, Columbia, SC. In addition to her duties as organist at Trinity on the Hill, Valerie has also served as the director of the TOTH children’s choir. She is a member of the American Guild of Organists and past secretary of the Association of Lutheran Musicians. Valerie holds a BA in Chemistry and Biology from Boston University and a PhD in Biochemistry from the University of South Carolina. Dr. Nelly Maude Case joined the staff in the late summer of 2018. 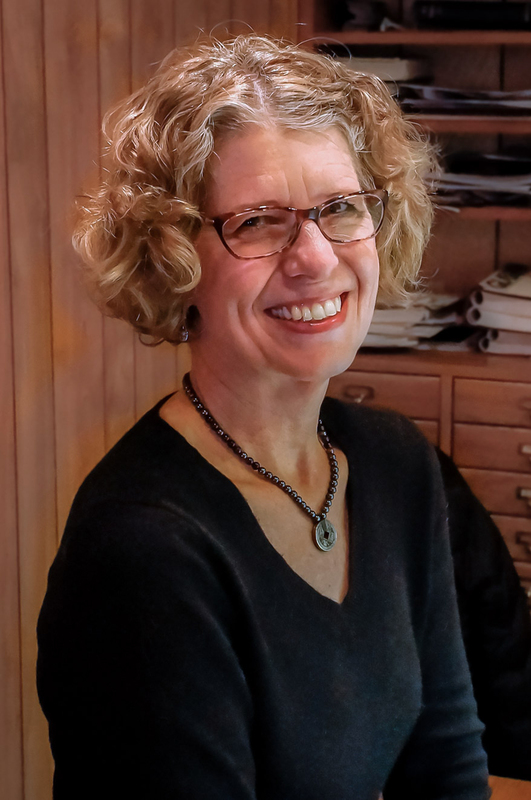 As a fourth generation professional church musician, she has over 35 years of experience altogether as organist, vocal choir director, and handbell choir director at Episcopal, Congregational, and Unitarian churches in Connecticut, Massachusetts, and New York. She also taught for 25 years in the Theory, History, and Composition Dept. at the Crane School of Music of the State University of New York in Potsdam. She and her husband, Dr. Stephen Ledoux, retired to Los Alamos in July of 2016. They have two grown children—daughter Susannah in Boston and son Miles, who resides here now, too. 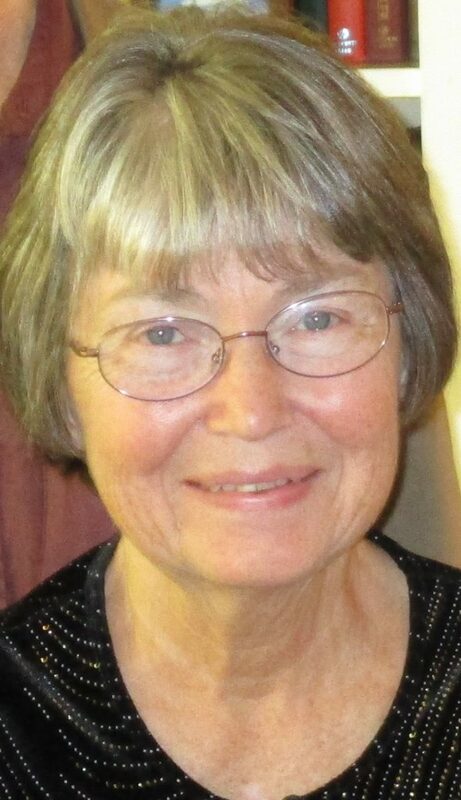 Since her retirement to New Mexico Nelly has kept active musically as a violist in the Roswell Symphony Orchestra and by substituting on the organ and piano at Bethlehem Evangelical Lutheran Church and the Los Alamos Unitarian Church. In addition to playing the violin in the Los Alamos Symphony Orchestra, she was elected to the Board of LASO this spring and is a member of the recorder group at the Senior Center. Wendy serves as the Parish Sexton, which means she keeps the facilities clean and in great working order. She has been a resident of Los Alamos since 1979, meaning she knows more secrets about the Secret City than most of the others on staff. She has two wonderful children, Michael and Jessica, and has recently become a grandmother to Aiden. She enjoys traveling around the country and the world, spending time with her family, and reading gripping mystery novels. She also serves as the Customer Service Manager at Smith’s.